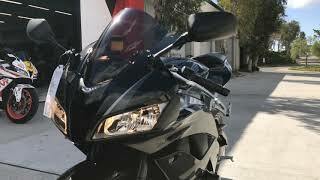 Hi, I am interested in your 2009 Honda CBR600RR listed on Autotrader for $5,899. I'd like to get more information about this vehicle and confirm its availability. Disclaimer: All vehicles subject to prior sale. We apologize for any errors or omissions. All prices exclude government fees and taxes, any finance charges, and any dealer fees.